We ensure that you can enjoy the good quality and resonable price on our zip tie with cable tie mount.This is a very favorable discount at a short time,please place the order as soon. ❉One package is Enough - There's no need to buy other zip ties or zip tie mount. ❉A great tool to get rid of messy cables! Cable Tie with adhesive mounting bases help organize wiring spaces beautifully and do not leave a ridiculous film when left installed. 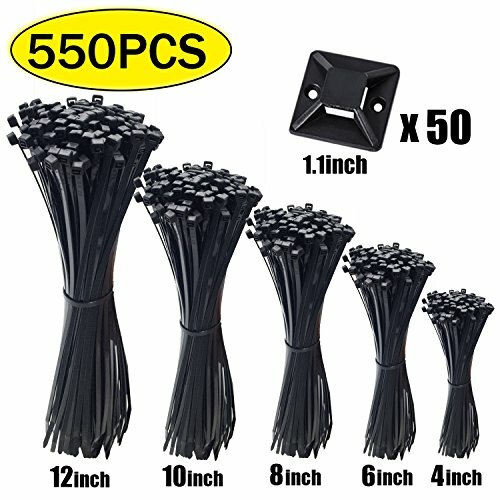 Zip ties are made from nylon and good quality. Zip Cable Ties are firm for a long time,and Adhesive Backed Mounting Bases will stick on slick surfaces like steel easily. If you have any question about zip cable ties mounts ,please contact us.We 'll solve for you as soon as posible. If you have any questions about this product by LanGui, contact us by completing and submitting the form below. If you are looking for a specif part number, please include it with your message.